Everyone can stop speculating about Chris Christie’s involvement in Bridgegate, and the other controversies that surfaced in its wake, because a new review has cleared the governor of all wrongdoing. Though, the haters will point out that Christie commissioned the study. And Gibson Dunn & Crutcher, the firm that conducted it, has close ties to his administration. Plus, they weren’t able to talk with Bridget Anne “time for some traffic problems in Fort Lee” Kelly, ex-Christie aide Bill Stepien, or former Port Authority official David Wildstein, who are all key figures in the George Washington Bridge lane closure. Aside from those factors, the lead investigator calls it a “comprehensive and exhaustive” review. While Kelly, Stepien, and Wildstein refused to participate in the investigation, over the past two months Gibson Dunn & Crutcher had tremendous access to Christie’s administration. The New York Times reports that lawyers interviewed more than 70 people, including Christie and his senior staff. The governor turned over his phone records and personal email accounts, and lawyers had records on the phone calls, text messages, and emails of top current and former administration officials. Lawyers would not discuss any of the report’s specific findings, but it’s said to include a detailed account of who ordered the lane closures, analysis of how the culture of the Christie administration contributed to the scandal, and recommendations for preventing similar incidents. 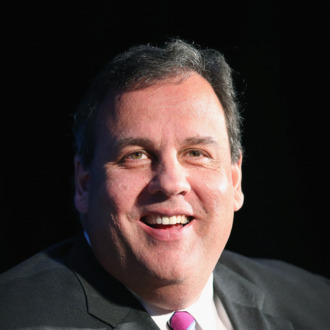 The report will be delivered to Christie, who’s said he’ll release it to the public without alterations – which seems only fair, since New Jersey taxpayers are footing a bill of $1 million or more. Randy Mastro, the lawyer who led the review, insisted to the Times that his firm was never pressured to produce a pro-Christie report. He pointed out that if they make a mistake the world would know soon enough, as state and federal investigators are looking into the matter as well. “At the end of the day, we will be judged by whether we got this right,” said Mastro.